Lina is a public health activist and feminist. She started volunteering as a medical student in 2009 by being part of IFMSA and different civil society organizations that aim to empower people with knowledge and skills to make better health choices and decisions. Upon her graduation from Tanta University in Egypt, she joined the Lazord Fellowship as a fellow of the class 2015-2016, during which she was placed at UNAIDS Egypt. 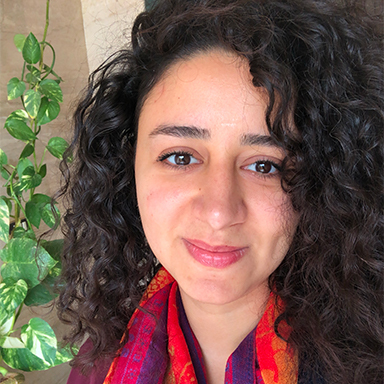 Lina is a TDR WHO Global scholarship awardee, currently pursuing her Master of Public Health at the American University of Beirut (AUB), with a concentration in health promotion and community health. She is also a trainer for sexual reproductive health and rights and HIV/AIDS, and has collaborated with several national organizations in Egypt, providing sessions to to university students, adolescents, women in unprivileged areas, refugees, LGBTQ, and people living with HIV. Lina is a co-author of, “Arab youth respond to the Lancet Commission on adolescent health and wellbeing,” published by the Lancet, as one of 16 members of the, “Arab Youth Health Coalition,” from the MENA region, after they participated in the regional launch of the Lancet Commission’s report at the American University of Beirut (AUB), Lebanon, in 2016.